Sol and Rachel do a Blog: I Want to Ride My Bicycle, I Want to Ride My Bike. 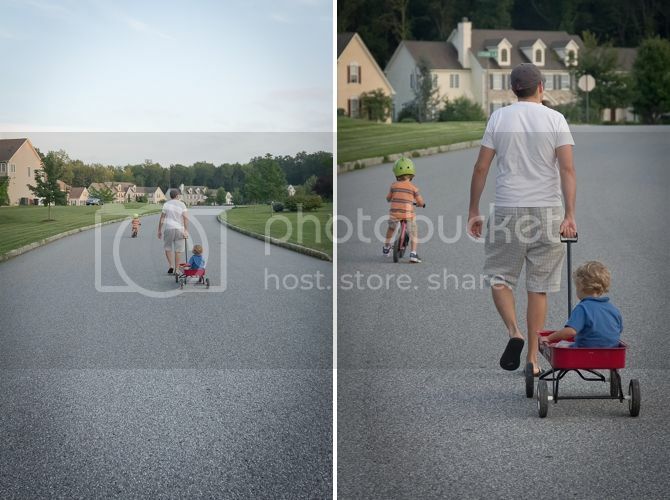 I wish the title of this post was the song we sing when we go out to take Finley to practice his bike riding skillz. Instead, we have to sing the song from Mickey Mouse Road Rally. Let me tell you, it's hurting our street cred. Finley's making great strides (pun intended!) with his bike riding. Our old neighborhood was a bit busy to practice on the streets. 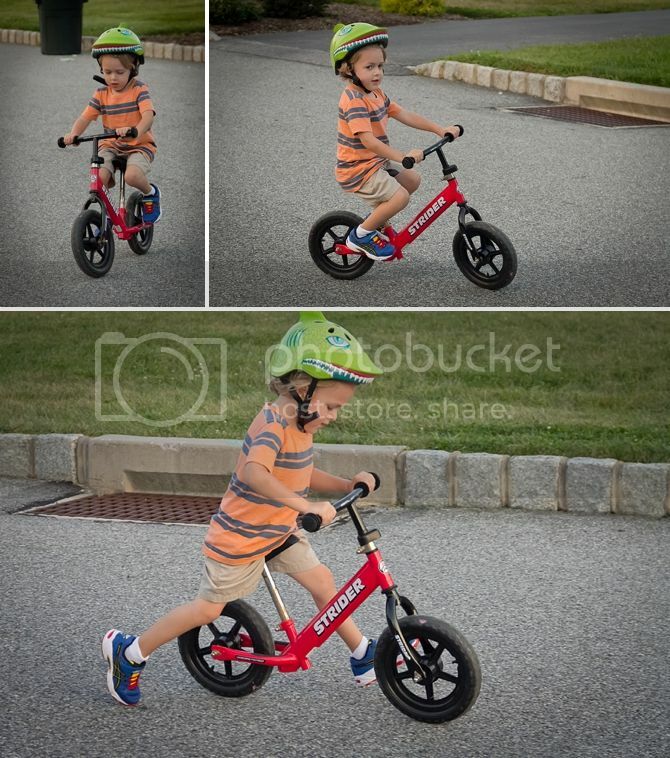 This one is much less trafficky with some nice downhills to let him get enough momentum to practice coasting. 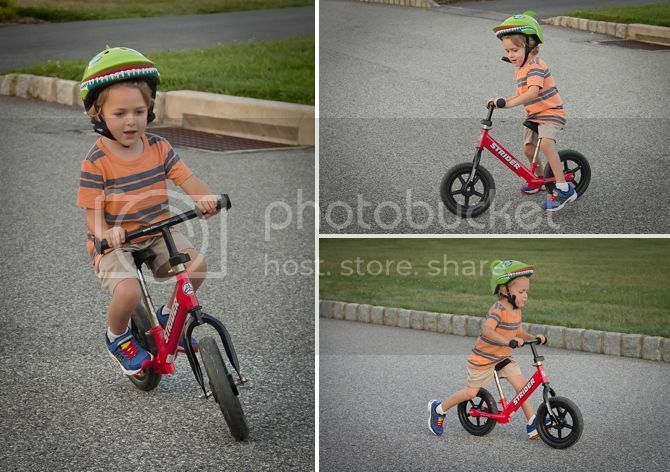 Strider bikes are the coolest--they let kids get the hang of balancing before they have to worry about pedaling. And they are cute. Which helps balance out the menacing helmet Finley is sporting. We're so proud of him for getting the hang of it! 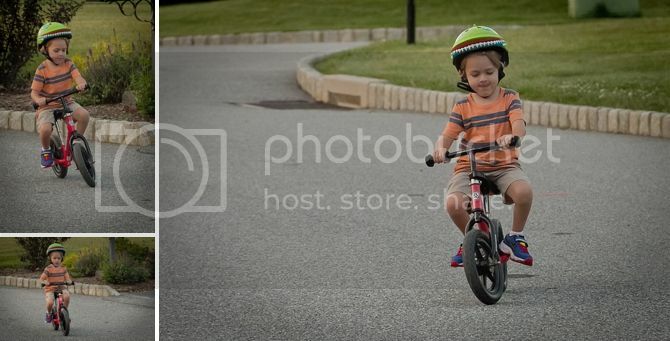 I'm surprised how much he loves to ride the bike--and he gets away from us really fast! The crashing has been pretty minimal--no skinned knees. I've seen it in person. It IS impressive! Glad you have another videographer in house. Exponential growth in the documentary department. Rachel, I see these pics of your lovely neighborhood and wish I was your neighbor! I could get into lots of crafty messes aka fun with you. But meanwhile, I'm stuck in sunny Calif where there is no such thing as the "Fall" season.